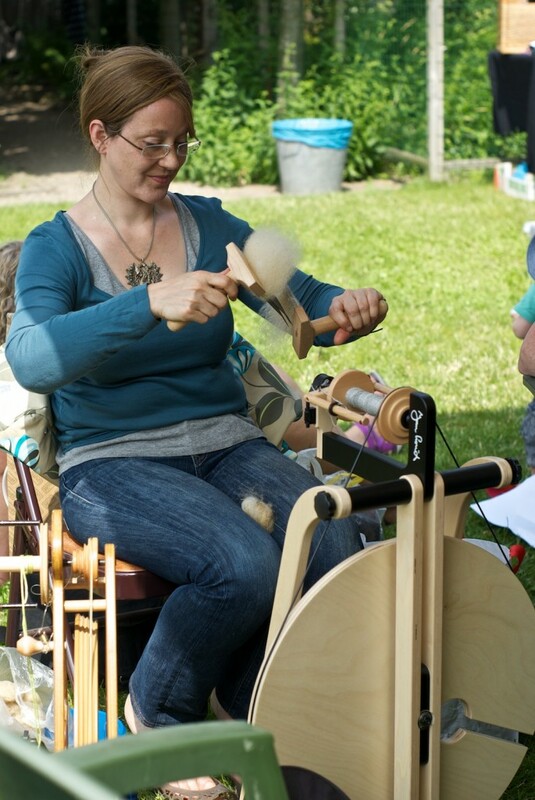 Back to the day 🙂 It was gorgeously sunny, and populated with some amazing people, I enjoyed seeing some familiar faces, and sitting in the shade with Patty to spin, and (I am quite proud of this) I also managed not to maim her with my hand combs as I paused my spinning to comb the next bunch of fiber. Just as well too as she needed some concentration to work on her band weaving! I really like combing alpaca, I think it gives a much nicer preparation for the yarn, less fluffy, and I think it enhances the drape, or maybe thats just me 🙂 And I also usually blend in a bit of sparkle as I am combing too. In this case I also added an extra colour as well to make a nice reddish brown. Sophie was also with us from Belgium, and was curious about the hand combing, she tried it out on some newly acquired Ouessant fiber (I very nearly bought the black fleece!) This is a lovely fiber, from such a cute sheep – read about them HERE if youre curious too 🙂 As you can see in the pic, Sophie found that combing it worked really nicely! The hosts of the day, Douglas and Marian, also took a tour to see the Alpaca, including a week old cria. This is a working farm with a focus on producing top quality fiber, while they remain very much animal focussed, with the wellbeing of the flock, coupled with care for the environment, being one of their primary interests. You can visit them too, at least, virtually: at their Alpaca Milestones website. 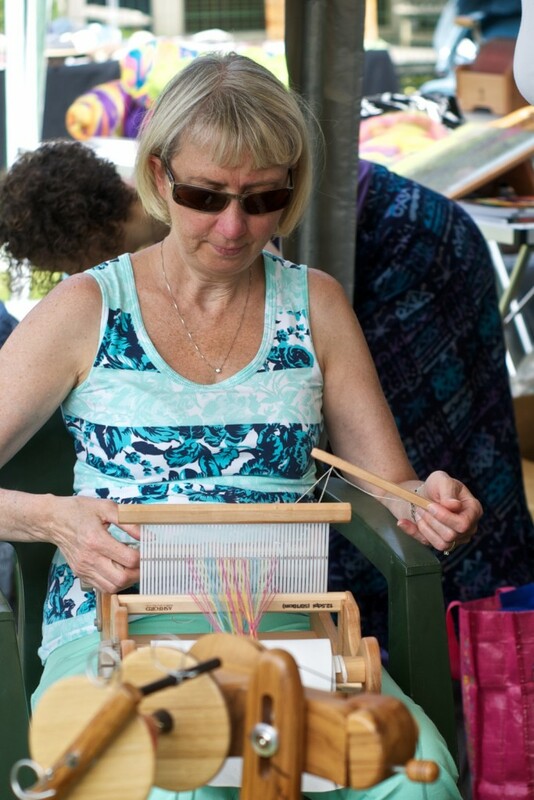 These ‘Summer Wool’ days are an annual event at Marians, and I can totally recommend going next year, such a lovely atmosphere there, and of course, awesome fiber. I left, of course, with more fiber than I had arrived with 🙂 I got a stunningly black fleece with a fantastic staple length, and I have a number of plans for this fiber, one of which I already did, and can be seen in the upcoming newsletter! In the meantime, dont forget to head over to my Workshops page, there are some cool ones coming up! Both the Dyeing and Weaving days are almost full, so if you are wanting to join in on either of those let me know as soon as you can. And if you are looking for your own awesome vacation program, do check out the weekend we have planned in Italy! 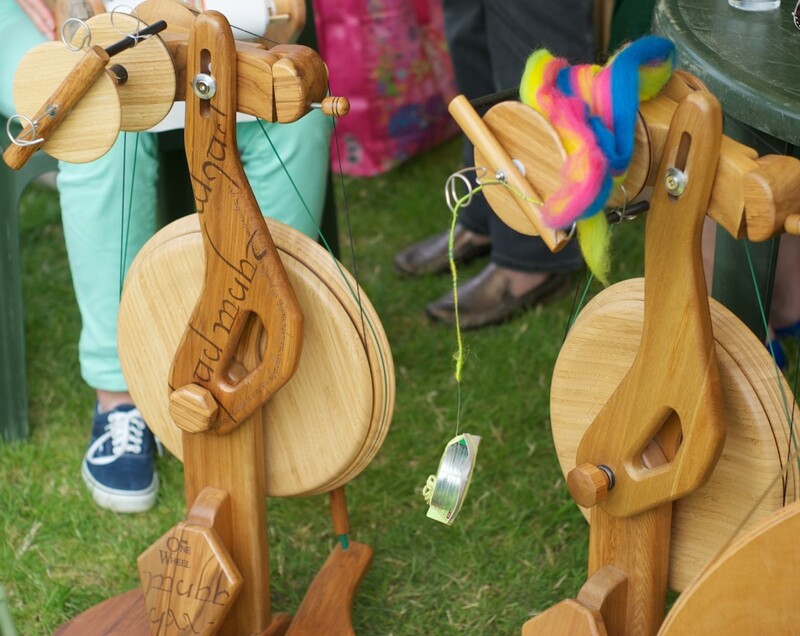 Its going to be two days of spinning to knit and weave, the second day including the knitting and weaving of course! 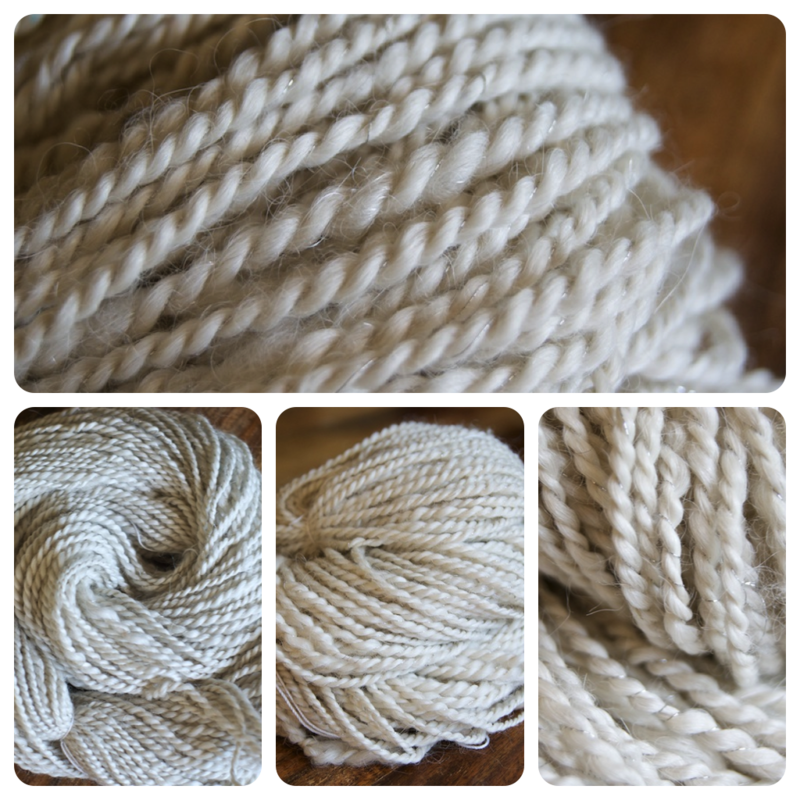 Our host, Donna, is already working on some great ways you can use your handspun, its going to be a fantastically creative weekend. And of course, WHAT a setting.. aaaahhhhh 🙂 I am relaxing just thinking about it.. old italian villa, views, Tuscany, wine… and horse riding too for the more adventurous! Cant wait! Wonderful Blog.. I enjoyed reading all about you and looking at your pictures. How exciting as I plan to buy a spinning wheel as soon as I do a bit more research. Thanks for sharing!